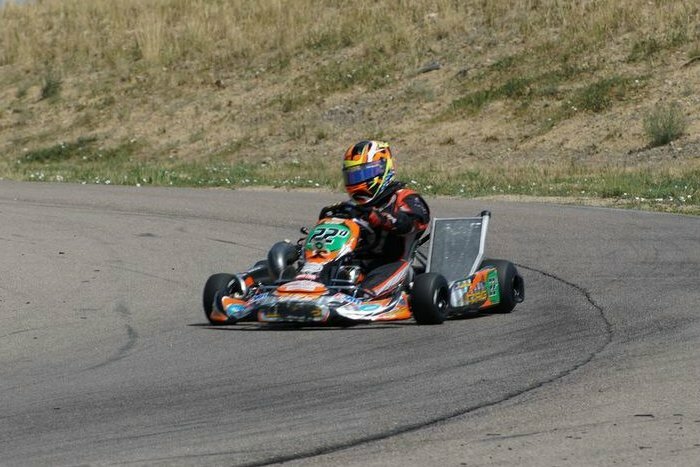 This past weekend (August 23-25) the Rocky Mountain ProKart Challenge ended its 2013 season with its sixth and seventh rounds being contested at The Track at Centennial, south of Denver, Colorado. Superkarts! 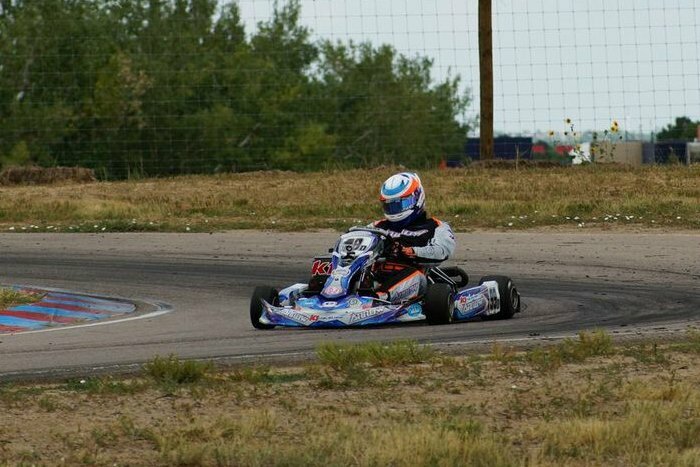 USA and US Rotax Max Challenge racers from Utah, Wyoming, and all corners of Colorado pulled through the gates of TTAC for the first time in the series’ young four-year history. The technical yet fast 20-corner circuit, with an added threat of rain during both main events, challenged drivers all weekend. Amid championship weekend, several point battles had been settled coming into the final two rounds, but many were still highly contested and up for grabs. Two of those close point battles included the S2 Semi-Pro Stock Moto class and the S4 Master Stock Moto class. In S2, coming into the weekend, Christian Schureman led Ben Schermerhorn by a slim 15 points. Schermerhorn proved just how important the championship was and how he wanted to clinch it at his home track. He went to work on Saturday as he swept the sixth round of the season. As Schermerhorn dominated Saturday, Jack Bradley and Christian Schureman were left to fight for the second spot. Schureman won the race for second in the first heat, but the rest of the day, the spot would go to Bradley. On Sunday, Austin Schimmel was the only driver to break the 52-second barrier and grabbed the pole position by two tenths over Schermerhorn. Schimmel would struggle on the start of the first heat as Schermerhorn took the lead going into turn one. Ryan Rudolph held strong as he finished the first heat where he started, in third place. Heat two saw Schimmel nail the start, only to see his kart die halfway into the first lap. Schermerhorn once again checked out to a four-second win ahead of Schureman. The main was all Schermerhorn, as he led all 20 laps and beat out Bradley for the victory. Schureman would settle for second with Tase Flores a solid third. Schermerhorn’s near perfect weekend would provide him with the top spot in the championship, with Schureman back by 80 points. Joining the S2 drivers halfway through the seventh round on Sunday was S1 pilot Sabre Cook. Returning from gall bladder surgery only weeks ago, Cook completed as many laps as her team would allow her before pulling in, but ensuring that she received full points. As the only entry, Cook won the seventh round, and was crowned the S1 Pro Stock Moto regional champion in only her first season in the pro class. S4 Master Stock Moto was another very close points battle coming into Denver. Fan favorite Jet Davis trailed Dave Conyers by 36 points coming into the final weekend. Davis, a true racer’s racer knew that he’d have to win, and that is exactly what he did. 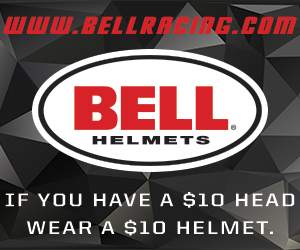 Jet was perfect on Saturday as he scored the pole position, both heat races and the main event victory. Conyers was left to race for second with the pride of Wyoming, Scott Allen. With Davis pulling away early in the main event on Saturday, Conyers attempted a tough pass on Allen for second in the hairpin. Hard contact was made that took both Conyers and Allen out of the main event. Allen would sustain small rib injury, which would force him out of the kart on Sunday. 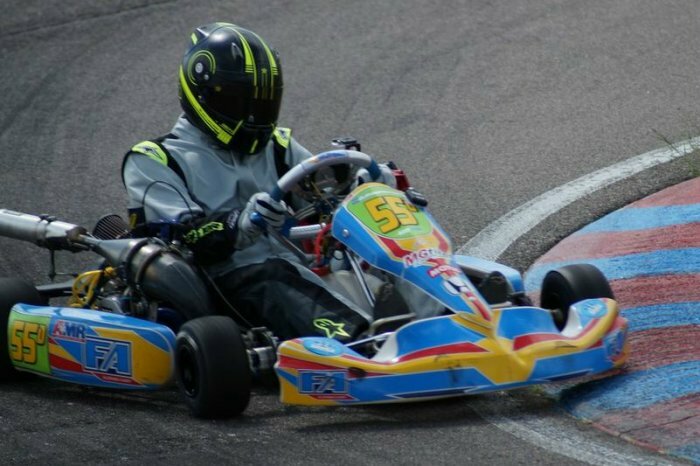 The second half of Davis’ title run would take a hit on Sunday morning in qualifying as his kart came to a slow halt during his first flying lap. Davis would not record a time and would have to start at the back of the combined S3-S4-S5 field. Conyers would lead the entirety of the first heat race despite Davis challenging him late. In the second heat, Davis and Conyers would trade the lead several times, with Jet winning out in the end. In the final, Davis led every lap to score the victory and secure the series championship. Conyers settled for second in both the final race and the championship with Allen third. 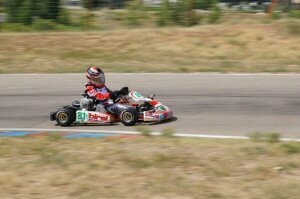 Racing together on the track were the combined classes of TaG Senior, TaG Master, TaG Junior and Rotax Junior. Scott Falcone was the man to beat in TaG Master, as he recorded a perfect score on the weekend and never strayed from the top spot. Behind him on Saturday was Wright Hugus in second and Russ Johnson in third. Sunday, Falcone drove to a dominant win with Hugus in second again, and Mike Urban finishing his season with a third place finish. Falcone left Centennial with the TaG Master championship, adding to his already very impressive season. In TaG Senior, point leader and eventual champion Jason Dempster was on the property but not entered to race, leaving reigning champion Brandon Southwick to race Charlie Craig for the weekend. On Saturday, Craig swept the day, leaving Southwick to finish in second. Craig got the jump over Southwick in qualifying on Sunday, but a DNF in the first heat would put Southwick ahead. In the main, Southwick made it only about 50 feet off pit road before his kart shut down and would not re-fire. Craig would go on to earn his second victory of the weekend to end up second in the standings behind Dempster. TaG Junior was a single entry class at Centennial, featuring the resilient and determined Angus Watkins. Despite not having any TaG Junior competition, Watkins used the final race weekend of the season as a stage to showcase how far he has come in the 2013 season. Watkins was named the class champion for his efforts on the season, and received the sportsmanship award from series director Stan Bryniarski for his commitment to the sport and his vast improvement over the course of the season. Watkins earned free race entry for the entire 2014 Rocky Mountain PKC season, thanks to Superkarts! USA. ‘Prime Time’ Payton Durrant did what he has done all season long in TaG Cadet…win. However, Cody Dempster looked to have a firm grip at his home track to start the weekend, as he nipped Durrant in qualifying by a tenth of a second. In the first heat, Tristian MacLeod got a terrific start that launched him from third to second, as he got underneath Durrant in turn one. MacLeod would hold the spot through the opening circuit before Durrant took back the second spot at the start of lap two. Durrant was able to get around Dempster for the lead on lap four, but Dempster responded to get it back the following lap and hold on to the checkered. The second heat once again saw MacLeod use the inside lane to his advantage, moving up to second. On lap three, MacLeod kept the momentum as he took the lead away from Dempster. At the halfway point, Durrant made an attempt for the lead inside turn one. On the exit of the fast right-hander, the two would make contact causing MacLeod to fall from first to fourth behind Derek Deslauriers, while Durrant drove to the heat two win over Dempster. In the main, Durrant checked out on the field en route to a 10-second victory ahead of Dempster and MacLeod. On Sunday, it was Dempster getting the edge on Durrant in qualifying once again. Deslauriers used the move perfected by MacLeod on Saturday to go from third to second at the start in turn one, causing Durrant to fall behind. Durrant would get back around Deslauriers on lap four, and then Dempster for the lead on lap five for the win. Heat two went to Durrant as well, with Dempster and MacLeod behind. Durrant would lead the opening 11 circuits of the main event, before Dempster worked past for the position for two circuits. Durrant returned to the point and drove to secure his sixth feature victory of the seven race series, earning the series championship. Dempster ended up second, with Deslauriers completing the podium. Filip Niemkiewicz was the class of the field all day Saturday in Micro Max. He began the day edging out Alexis Apodaca in qualifying and the two heats. Joining the party late was Corbin Emery, making it just in time for the main event on Saturday. Niemkiewicz led the way in the feature as he beat Emery and Apodaca. Sunday started out with Niemkiewicz on top once again, as he scored the pole position and first heat win. In heat two, Niemkiewicz led whole way until the final lap when Emery got around him for the win. The final on Sunday kept everyone on the edge of their seat. Niemkiewicz and Emery traded the lead lap after lap, racing very close but very clean. On the final lap, going through the bus stop at the top of the hill, Niemkiewicz ran off the track and fell down the order. This handed the victory to Emery, for his first of the season. Apodaca finished second, earning enough points to secure the series championship, with Niemkiewicz finishing the race in third. Mini Max saw a duel between double-duty drivers Cody Dempster and Derek Deslauriers – with a strong challenge by Brody Shucard. In qualifying, Deslauriers dropped the hammer as he broke the one-minute barrier to beat out Dempster for the pole position. As the top three ran nose to tail, Dempster would come across the line first in heat one but an issue in tech bumped Dempster out of the win and gave it to Deslauriers. In the second heat race, Shucard set up a terrific pass on Deslauriers coming down the sweeper to end lap one, as he went on to lead every lap for the win. In the main event, it was a battle of the fastest laps between Shucard and Deslauriers, as Shucard drove to the victory ahead of Deslauriers with Dempster third. Deslauriers went back to work on Sunday, scoring the pole again ahead of Dempster. Deslauriers looked strong heading into the main after picking up both heat races. Unfortunately, his main event would come to an end at the hands of a mechanical black flag while leading, thanks to a dragging rear bumper. Shucard inherited the lead after Deslauriers pulled off, and he battled Dempster in the final four laps. At the checkered flag, Shucard held off Dempster for the victory – his first in the series. Due to contact with Deslauriers, Dempster was penalized and placed behind him in the final results, moving Cole Thompson to second and Everest Fedler third. When the dust settled and the points shook out, Deslauriers was named the champion by just 15 points over Dempster. 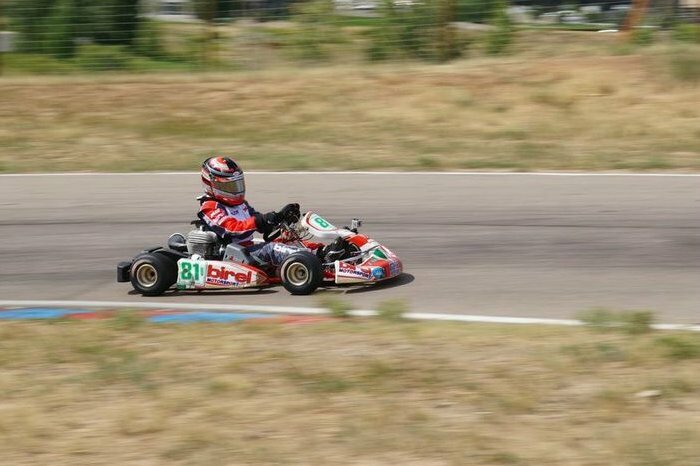 Grant Copple was the top dog in Rotax Junior all weekend ahead of Max Fedler. In S5 Junior Stock Moto, Evan Roshak paced Duncan Biles all weekend with exception of the second heat race on Sunday, where he recorded a DNF. Despite Roshak’s dominant weekend, Biles returned to Utah as the S5 regional champion. As the only entry in S3 Novice Stock Moto on the weekend, Leo Ahearn swept the event. The S3 championship, however, was awarded to an absent Lauren Stark. After the racing wrapped up, racers and teams cleaned up and headed to the Embassy Suites ballroom to take part in the year-end awards ceremony. Emceed by Rocky Mountain PKC announcer Tony LaPorta, the banquet was a great time had by all. A number of prizes and awards were handed out thanks to the great series sponsors and supporters: American Medical Response, Falcone Custom Homes, CRG-USA, Miller Motorsports Park, Billet Performance, Woodsource, Unser Racing, Honda Performance Development, SDB Promotions and Karting Coach. Be sure to visit www.superkartsusa.com for more information – along with updates on the Facebook page – as plans for 2014 come together for the series.